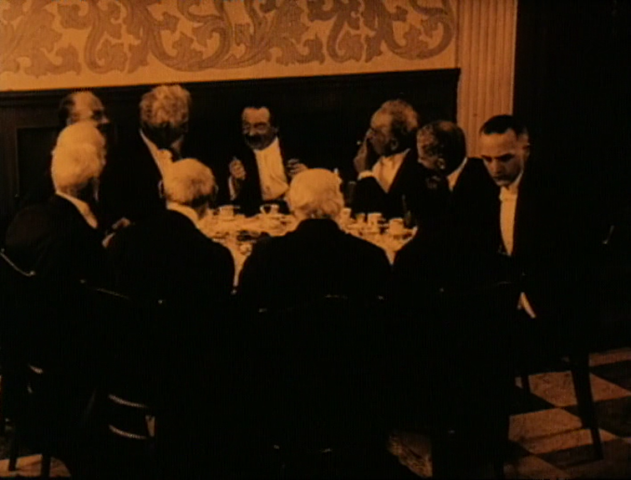 It perhaps comes as no surprise, given Carl Theodor Dreyer’s lifelong, idealized melancholy over his own unresolved parentage, that the scenario selected for his first film, The President would involve three generations of children conceived out of wedlock, and thematically crystallize on the legacy of their unreconciled paternity in the resolution of their own disparate lives. 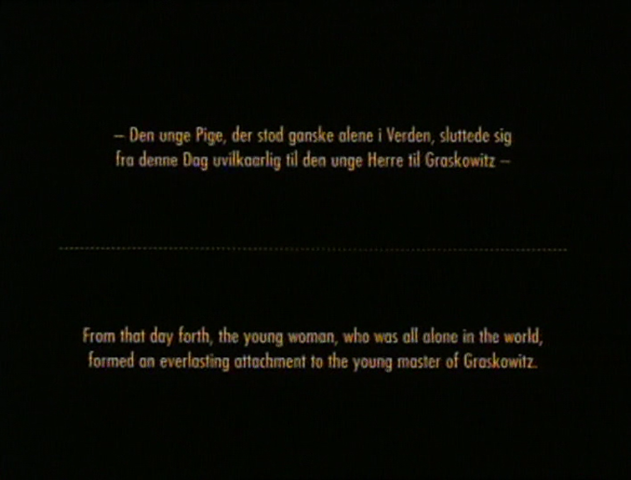 For Dreyer, this expurgation of such deep-seated trauma was not only manifested in the naïve idea of restoring the virtue and honor of a “fallen” woman (an archetypal surrogate for his own idealized, unwed, biological mother) through transcendence, but also in confronting the innate cruelty of the very institutions that socially (and inequitably) stigmatized such human transgressions through codified notions of morality and class division. 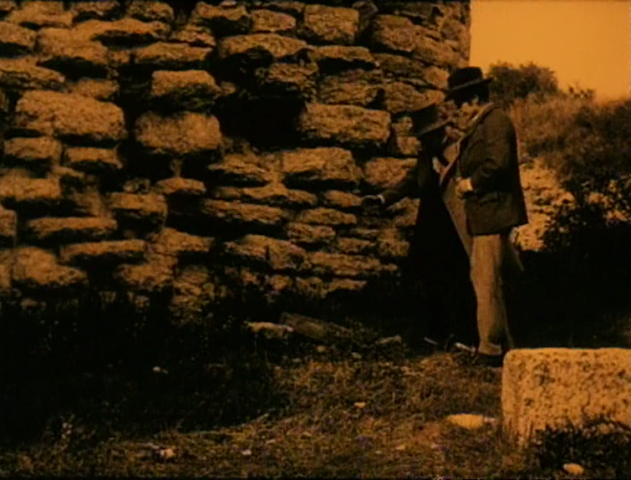 It is within this framework that the film’s preface of the aging aristocrat, Franz Victor von Sendlinger (Elith Pio) offering a promissory relationship advice to his son Karl Victor (Halvard Hoff) on the folly of marrying outside (or more specifically, beneath) one’s social class while walking along the grounds of their forbiddingly isolated, dilapidated estate seems especially conducive to the figurative idea of empty, superficial, crumbling institutions and Dreyer’s own symbolic attempts to dismantle them. Thirty years later, the dutiful son, now himself a highly respected and beloved regional magistrate continuing in the noble vocation of his forefathers, returns home from his travels. 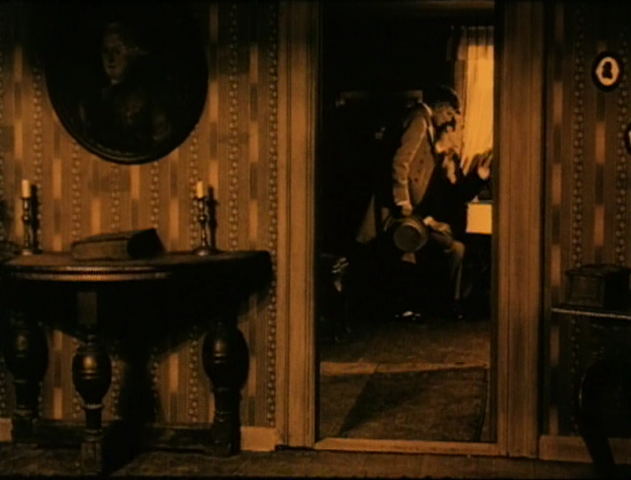 Immediately confronted with a dilemma between paternal acknowledgement (as his father had earlier done by reluctantly marrying his commoner mother shortly before his birth) or moral disavowal of his illegitimate daughter, a governess named Victorine Lippert who has been accused of killing her own illegitimate, newborn child, Karl Victor recuses himself from intervening in her pending case, citing the incorruptibility of the von Sendlingen family motto: “The majesty of justice is the holiest on earth”, despite entreaties from her defense attorney, Karl Victor’s closest friend, Berger (Richard Christensen) who, unaware of his friend’s personal connection with his client, pays a personal visit to ask him for professional advice on her pending sentencing hearing. Pleading leniency from the court for a life of hardship caused by her illegitimacy, Berger recounts the despondent Victorine’s unjust treatment at the hands of her callous employer: seduced by her employer’s son, betrayed by her lover’s coldly worded missive to his mother exposing their affair (and refusal to assume responsibility for the consequences of his actions), and cast away from home on the night of the child’s birth, Victorine had been found unconscious the next morning at an open field near the body of her dead child. Abandoned by her feckless lover and continuing to mourn the loss of her child, the orphaned Victorine has refused any attempt at imploring the court for leniency in the hopes of hastening her own death from the gallows. 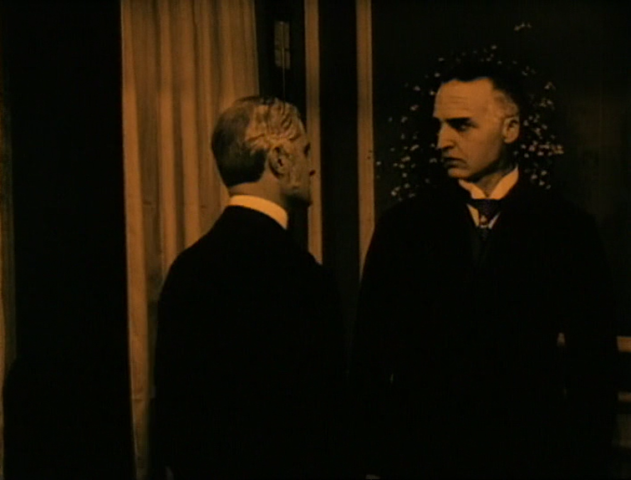 Even at this early juncture, Dreyer incorporates elements that would become immediately identifiable with his cinema, from the spare mise-en-scène that distills spaces to essential, signifying elements (note the surreal glow of a torchlight evening procession to celebrate Karl Victor’s promotion that evokes both the grandeur of the spectacle and a sense of foreboding), to the expressionistic distortion of projected figures to reflect the eerie disquiet (a prefiguring image of seemingly disembodied shadows that would culminate with Vampyr), to the casting of actors (and non-actors) based on face types (most notably, in the tracking shot of peripheral activity and dour seated judges in the courtroom that prefigures the opening shot of The Passion of Joan of Arc). 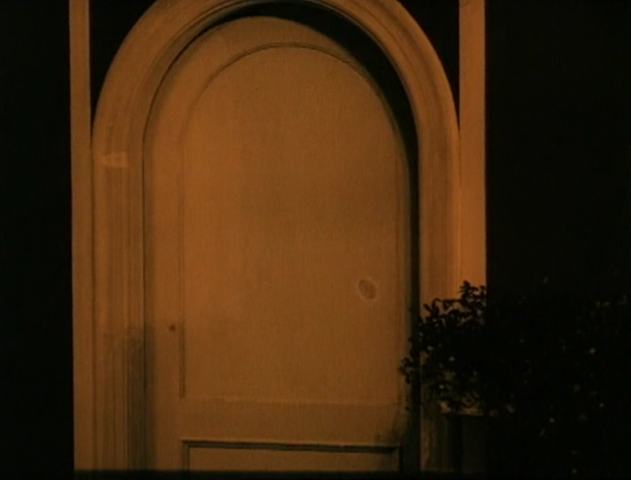 In illustrating the dichotomy between law and justice, Dreyer introduces a fundamental aspect of his cinema in exploring the intrinsic inhumanity of all rigid institutions, from myopic religious fundamentalism that can no longer accept the idea of the existence of a modern day miracle (Ordet) or remain open to the possibility of grace (The Passion of Joan of Arc), to ossified, patriarchal societies that inherently marginalize the role of women (Master of the House, The Parson’s Widow), to entrenched social rituals and class stratification that have led to repression and spiritual immobility (Day of Wrath, Gertrud). 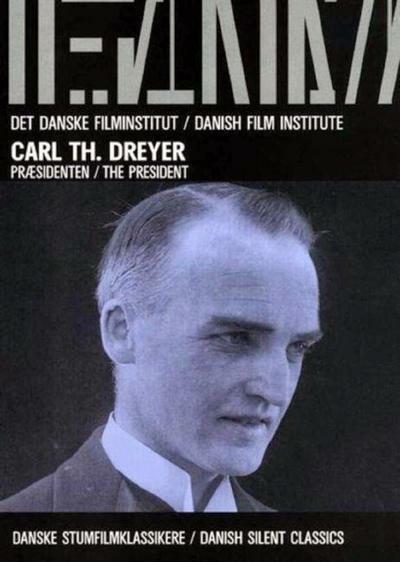 With The President, Dreyer perhaps comes closest to an autobiographical reckoning with the tragic fate of his own biological mother, a paradigm for resolute faith and salvation in the face of profound inhumanity and marginalization – an embodiment of both profound transgression and improbable redemption.